In a big blow for German car makers, an appeal court in Leipzig has ruled that major German cities had the power to ban polluting diesel cars. In a big blow for German car makers, an appeal court in Leipzig has ruled that major German cities had the power to ban polluting diesel cars. Two German provinces had appealed against bans imposed by local courts in the industrial cities of Stuttgart and Dusseldorf, but the superior federal court has now upheld the ban. The ban will hit not only the future production of cars in Europe’s largest auto market, but will also erode the value of Germany’s 12 million diesel powered vehicles. It may also force carmakers to pay for costly upgrades. The ruling follows petitions moved by two environmental groups, DUH and ClientEarth, seeking an end to diesel cars after it was found 70 German cities had exceeded the EU-defined tolerable limits of nitrogen oxide or NOx. The debate on stopping production of polluting diesel cars gathered pace after the global outcry against Volkswagen’s admission in 2015 that it had been cheating on US exhaust tests. These tests were designed to keep emissions of particulate matter and NOx, the cause of many respiratory diseases, under control. Many cities around the world now have upped the ante against diesel. In December 2016, the mayors of Paris, Madrid, Mexico City and Athens announced that by 2025 they would have bans in place against diesel cars and vans on their roads. Madrid, for instance, has a serious problem of being surrounded by mountains that trap the smoggy air. For a city that shows off its heritage and architecture to a large tourist population every summer, vehicle pollution is a huge downer. Delhi, the 6th largest metropolis in the world, and one that had earned the notorious distinction of being declared the most polluted city in the world in 2014 by the World Health Organisation (WHO), has taken its own baby steps. The National Green Tribunal (NGT) in 2015 had imposed a ban on ageing diesel vehicles above 10 years old. Last year, when Delhi and the National Capital Region (NCR) were crippled with dangerous levels of air pollution, the Environmental Pollution (Prevention and Control) Authority proposed a complete ban on diesel vehicles, along with the closure of coal-fired power plants in the region. 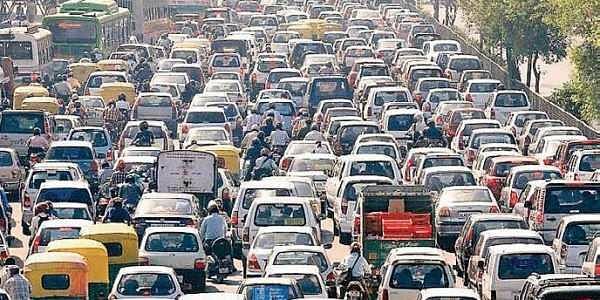 The Delhi government also experimented with 2 rounds of the odd-even scheme to bring down the number of vehicles on the road. It was based on vehicles being allowed on the road only on alternative dates based on whether they had odd or even ending number plates. Though there were positive reports, the numerous exemptions allowed by the Arvind Khejriwal government, made the scheme fall apart. According to Helena Molin Valdes, Chair of the United Nations’ climate and clean air coalition, “Soot from diesel vehicles is among the big contributors to ill health and global warming.” EU’s official health authority has said NOx and fine-particulate air pollution may be contributing to as many as 4,00,000 premature deaths every year in the European Union. In Delhi, health surveys say air pollution causes around 10,000 premature deaths every year. It will be ultimately the automobile companies themselves who will be key to burying the diesel combustion engine. The writing on the wall is there. Fiat Chrysler Automobiles (FCA), whose 5-year internal plan was leaked days ago, has decided to stop all diesel passenger car production by 2022 in response to the plummeting diesel car sales in Europe. From a 51 percent share of the European car market in 2015, diesel cars have fallen to 40 percent. For Germany and France it is even lower at about 35 percent. In the US, Fiat Chrysler does not produce diesel-powered cars, but has faced flak from the US Department of Justice for alleged emissions cheating on the ‘Grand Cherokee’ and the ‘RAM’ pick-ups. In India, the resale value of diesel passenger cars has plummeted; and the cost difference between petrol and diesel is gradually narrowing. As the cost advantage disappears, it is only a matter of time before the diesel passenger car will be history in India too.